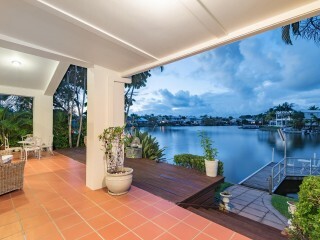 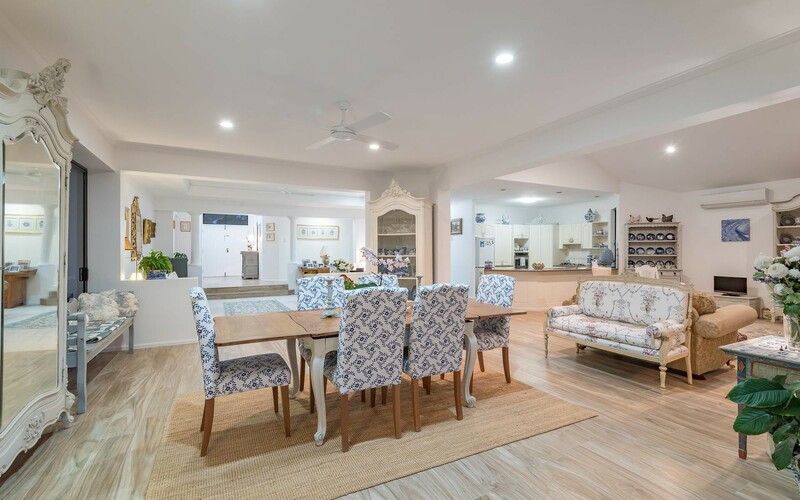 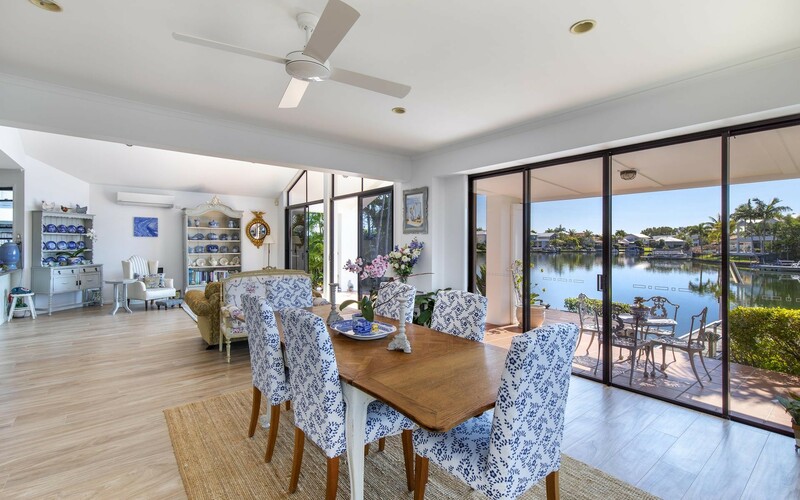 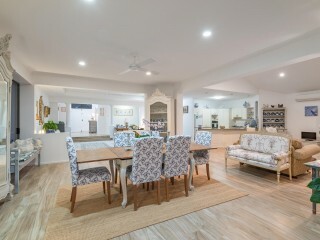 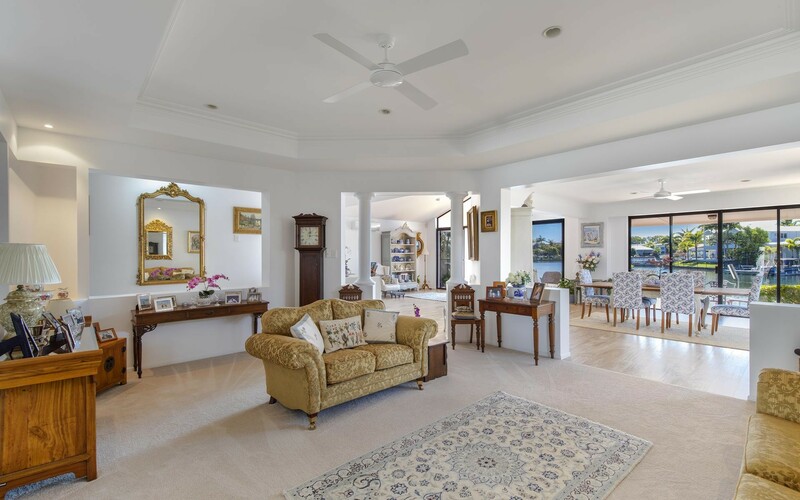 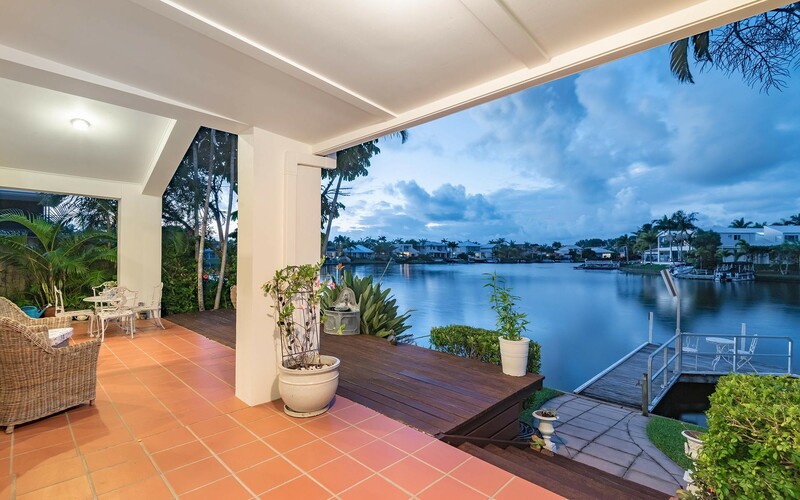 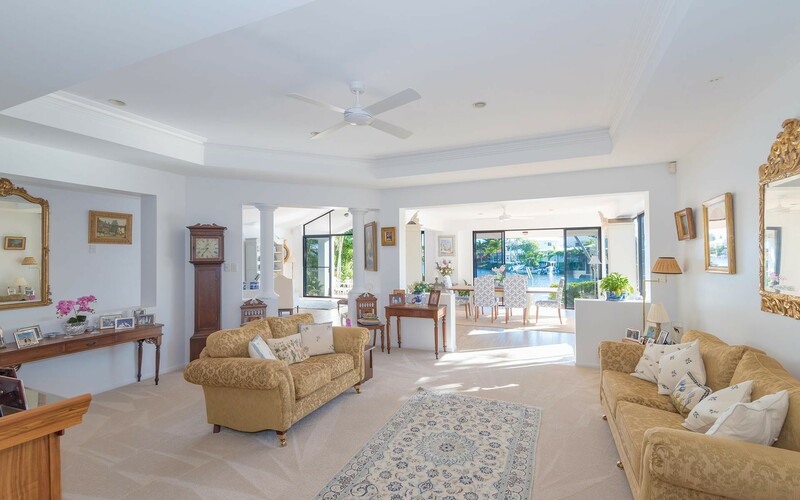 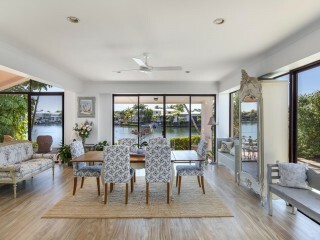 Enjoying spectacular long water views this French provincial inspired residence flows over one level to the waterfront offering the perfect Noosa existence. 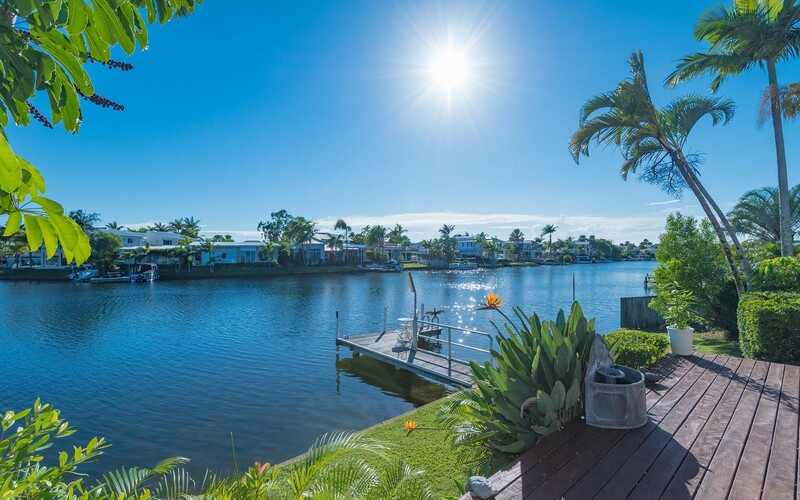 With sunny patio's overlooking the waterways and private jetty, entertaining will be a priority as you show off your private waterfront home. 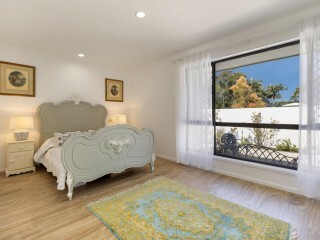 This residence has been completely refurbished apart from the kitchen, where you can add your own stamp if you wish. 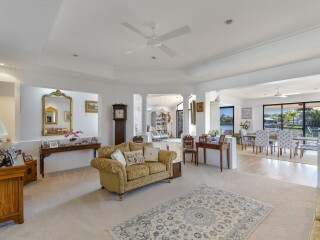 There is ample room for a pool. 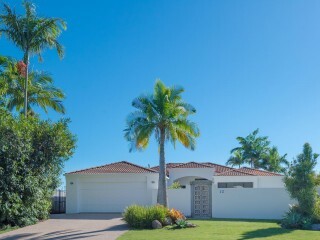 A Mediterranean style courtyard garden offers complete privacy and a secure space for a pet. 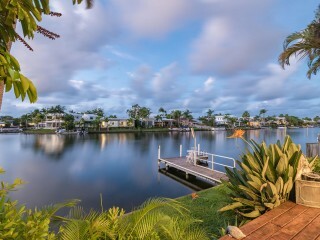 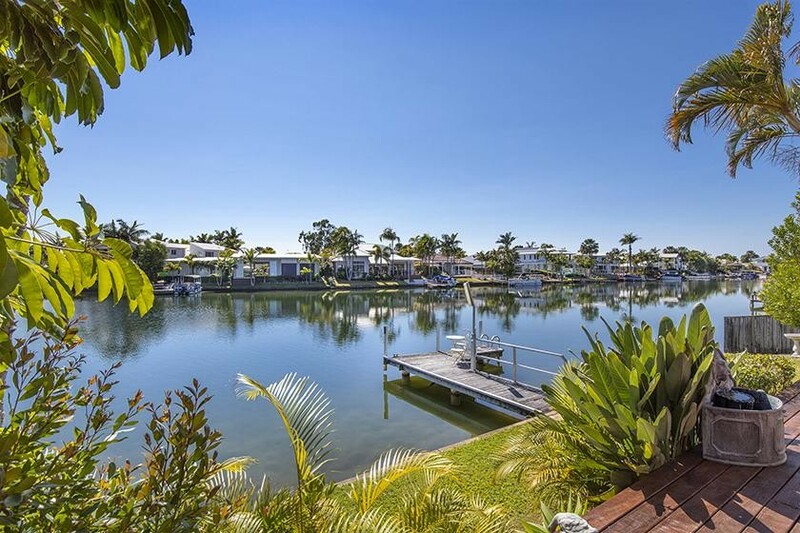 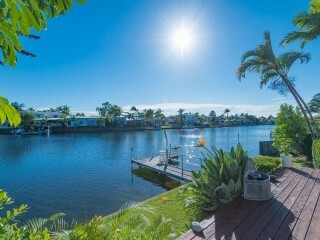 Low maintenance gardens, allow you time to enjoy the beautiful Noosa River. 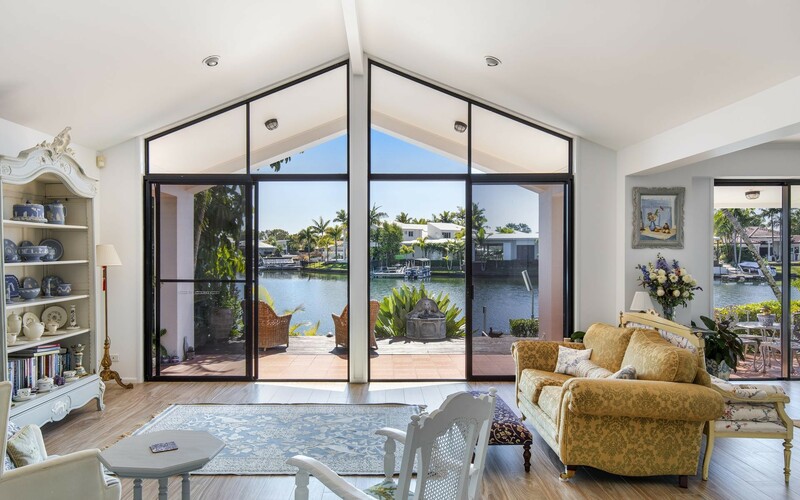 The ideal floor plan provides ample guest accommodation in a separate wing, while the master suite enjoys water views and large ensuite complete with free standing bath. 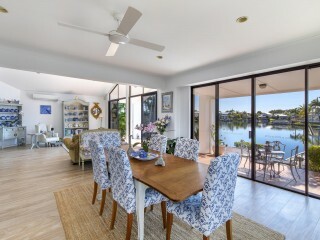 The spacious open plan design with high ceilings throughout, flows across the waterfront offering three individual living zones; a central lounge, additional casual living space, kitchen and a dining area. 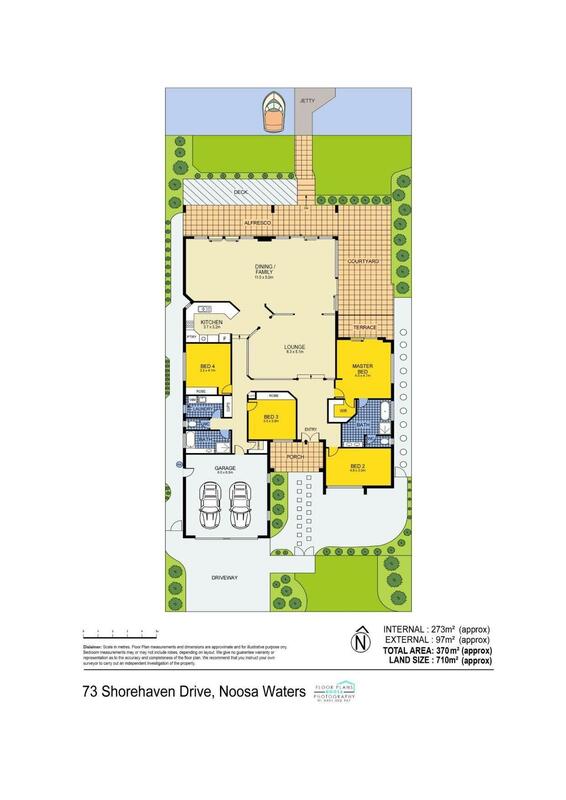 There is a separate laundry and double car garage with plenty of storage. 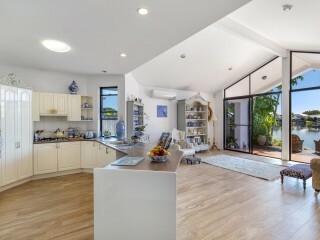 New laundry with solid beech benchtop. 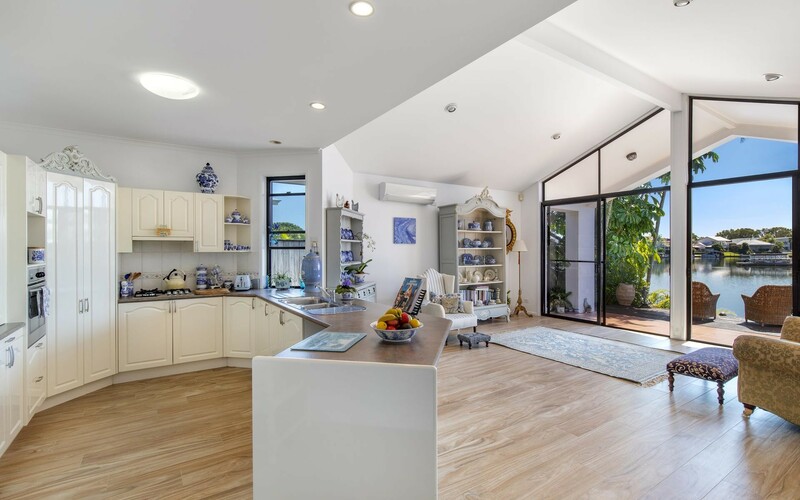 This neat and tidy residence is the ideal base for you to entertain friends and family or lock up securely while you travel. 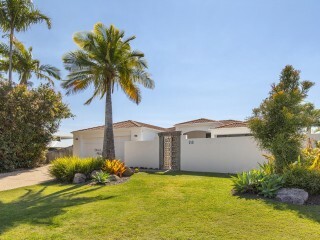 The adjacent park offers plenty of space to walk the dog and generally offers a sense of space. 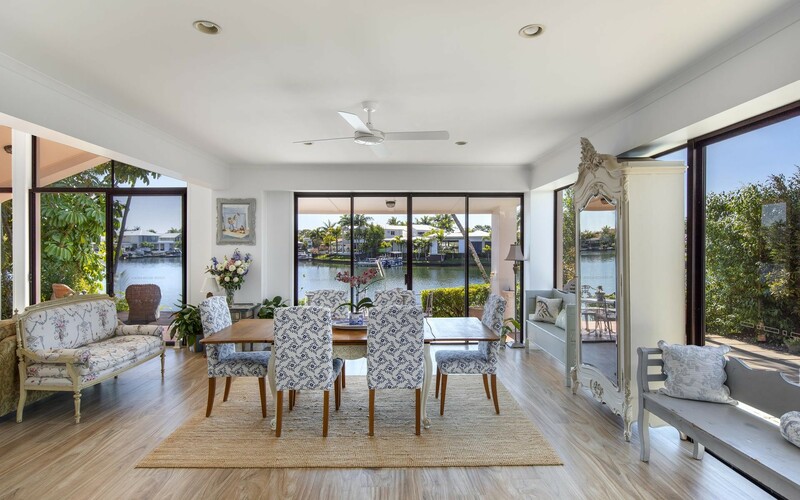 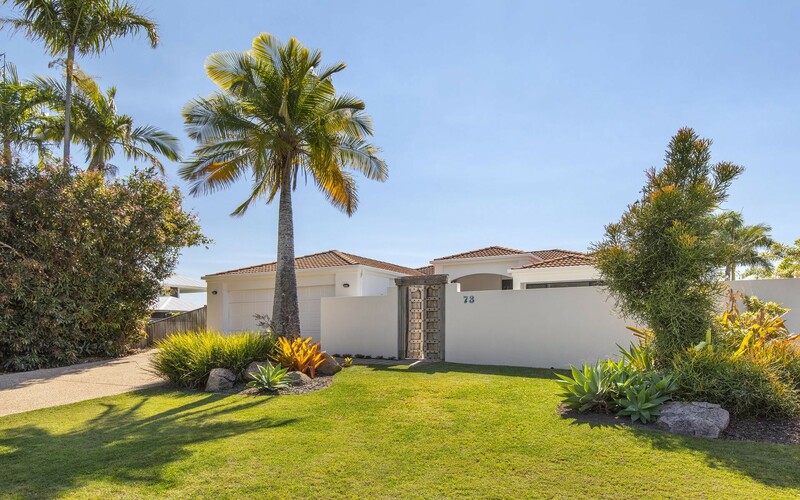 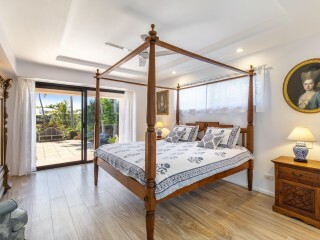 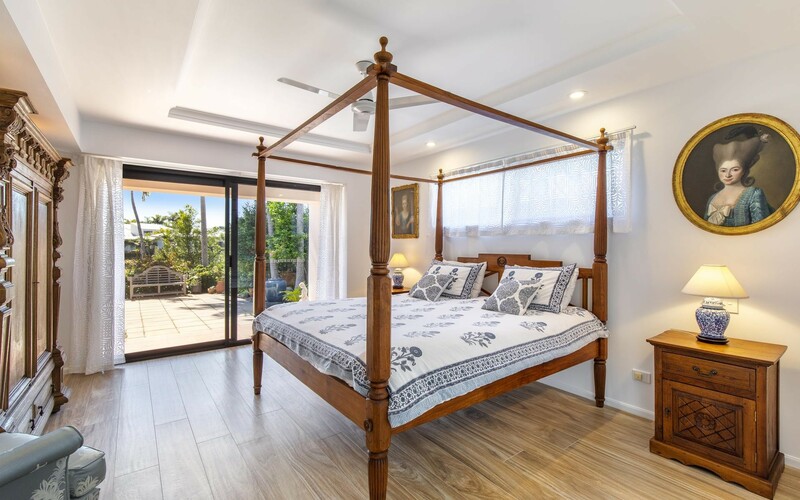 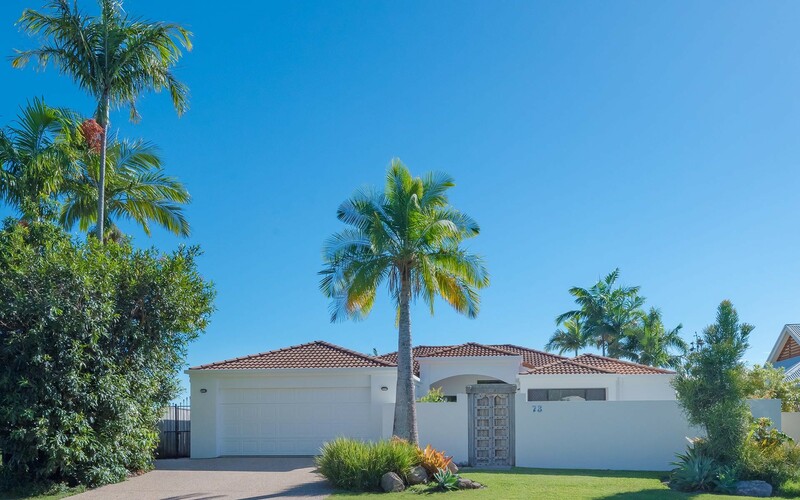 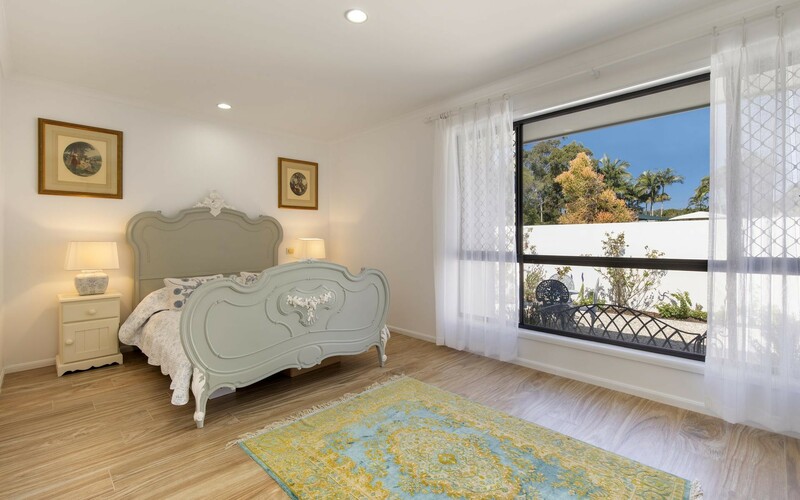 Noosa Waters is a centrally located flat walk to shopping centres, professional services and the gym as well as an abundance of cafes and restaurants. 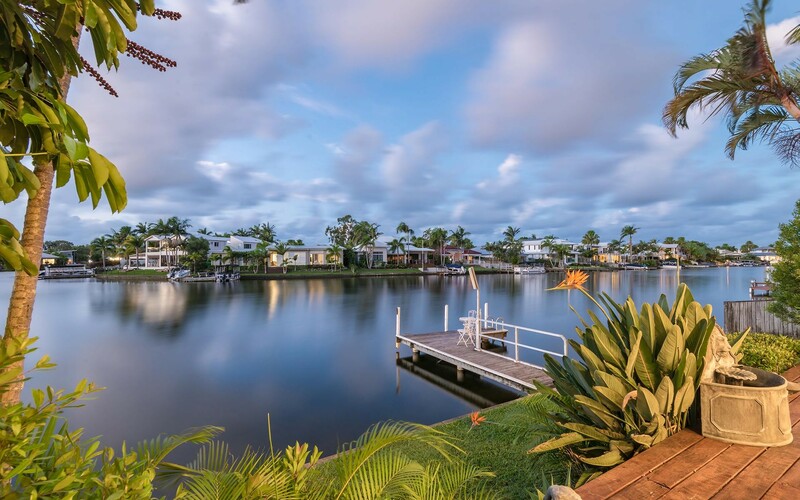 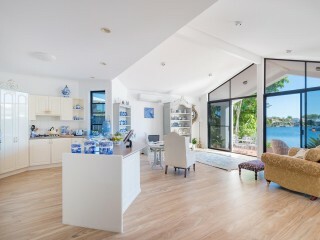 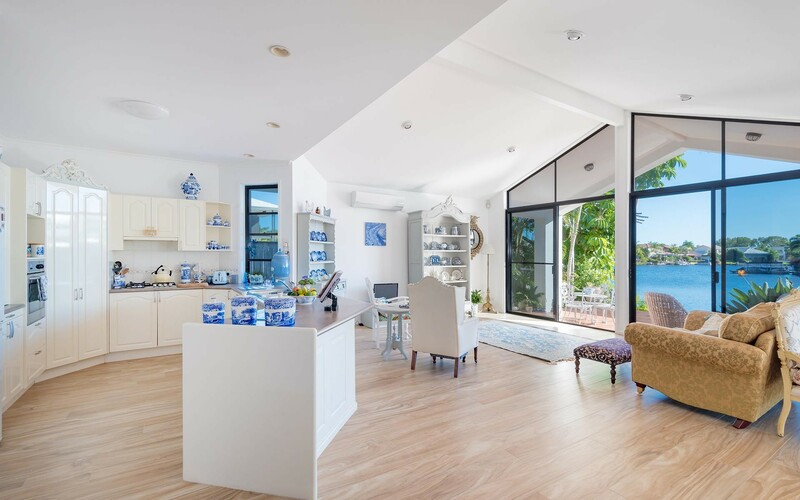 With access to Noosa River, all of Noosa's best is a short boat ride away. 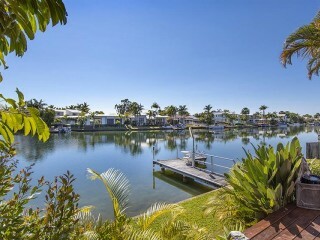 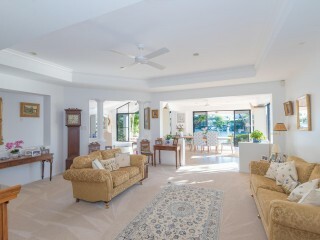 Waterfront values will only escalate over the long term, this home is offered at excellent value. 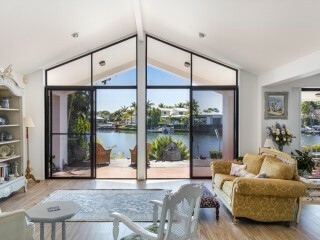 t is ready for its next lucky owner.